There’s a weapon in Destiny, that defines the game. A year one treasure, the Gjallarhorn is brash, ostentatious and just too much fun to play around with. It is undeniably the very best rocket launcher around, even if it was gimped for year two in The Taken King. 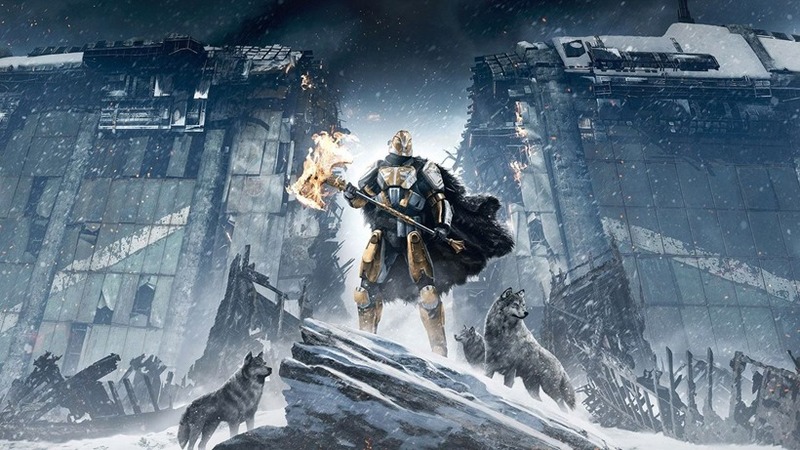 In Rise of Iron however, the Gjallarhorn is back. And not just any Gjallarhorn baby, because I’m talking about a new generation version of the infamous RPG that amps up the damage scale to luicrous levels. To get your hands on it however, you’re going to need to earn it (or bask in your pre-order). The bulk of the task to assembling a new Gjallarhorn comes from a fetch quest of sorts. Iron Medallions are needed to craft this new beastly RPG, and they’re scattered all across the Plaguelands. You’ll need seven of them as you journey throughout the Archon’s Keep, Giant’s Husk and other locales. So where do you find them? Here, I’ll show you, you lazy guardian you. Reddit has some neat GIFs of these locations, which I’ve embedded within the titles. The easiest Iron Medallion to find can be located in your new base at Felwinter Peak. Near Shiro, check the cliffs and hop on up. It’s a bit of a challenge to climb, but at least you won’t have to worry about Devil Splicer attacks as you claim your first token towards your new Gjallarhorn. As soon as you spawn within the Lord’s Watch, head straight down to the little shack nearby. You’ll find an Iron Medallion resting there. Time to do some more jumping! As you enter Giant’s Husk, hang right and climb the cliffs until you reach the path to the bridge with all the shipping containers on top of it. Travel along this route and you’ll soon see an Iron Medallion boxed in by them. At the entrance near the Archon’s Forge, stay on the outer rim of this building and move straight on. You’ll eventually find the Iron Medallion on a pile of rubble nearby. Underneath the Archon’s Forge, go to the room that contains several large generations, keep left and you’ll see an Iron Medallion in a corner near a large pipe. Travel along the Forgotten pass until you reach the end of the bridge section, You’ll spot the Iron Medallion by some barrels there. Go to the left of the bridge, enter the bunker and keep going until you reach a small room to find the Iron Medallion to the left of the entrance. With all of the medallions collected, players will then be tasked with some bomb defusal on the Bannerfall map as the quest continues. Stick it out, get the blueprints and other items and you’ll soon have the gloriously over-the-top Gjallarhorn in your inventory once again.